Scarboro Surf Life Saving Club overlooks Western Australia’s most famous beach, boasting a central location and a wonderfully relaxed atmosphere what more could you want to ensure a successful function. Enjoying the stunning sunset or relaxing in the cool afternoon sea breeze, we are sure you and your guests will love the beauty and tranquility of our special venue. Just twenty minutes from Perth City, close to transport links and with our own car park Scarboro SLSC has all the answers to ensure your party planning is as care free as possible. 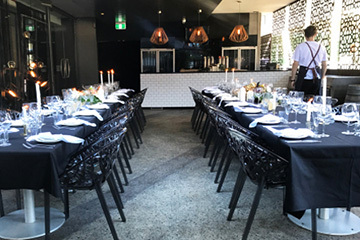 Located at the end of Scarborough Beach Road, our venue can accommodate a variety of functions ranging from small intimate gatherings to wedding receptions and engagement parties to corporate functions, daytime seminars and courses. With a range of recommended caterers and our “bring your own” bar facility you can be sure that your function or special day can be tailored to your exact requirements. 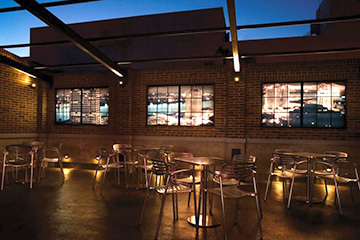 The venue which can accommodate up to 250 people, it is light and bright large modern bar area, separate wooden dance floor and a main function area. The function room opens out onto a lawn and paved area overlooking the ocean ideal for enjoying the sunset. Adjacent to the function room is a large commercial kitchen and a welcoming reception area. The venue can be used in its entirety as a venue for wedding receptions and parties or if required smaller areas can be utilised for meetings, training sessions etc. We can organise audio visual equipment on request.